Assadollah Assadi, an Iran regime’s diplomat suspected of involvement in a bomb plot to attack an annual meeting of an exiled Iranian opposition group in Villepinte, near Paris, was charged with acting as a foreign agent and conspiracy to commit murder, German federal prosecutors said. The prosecutors, also said their investigation would not hinder Belgium’s extradition request for the suspect. German authorities arrested the 46-year-old diplomat earlier this month in the Bavarian city of Aschaffenburg under a European arrest warrant. Vienna-based diplomat-terrorist Assadollah Assadi allegedly gave the Antwerp-based couple with Iranian roots, a device containing 500 grams of the explosive TATP during a meeting in Luxembourg in late June. 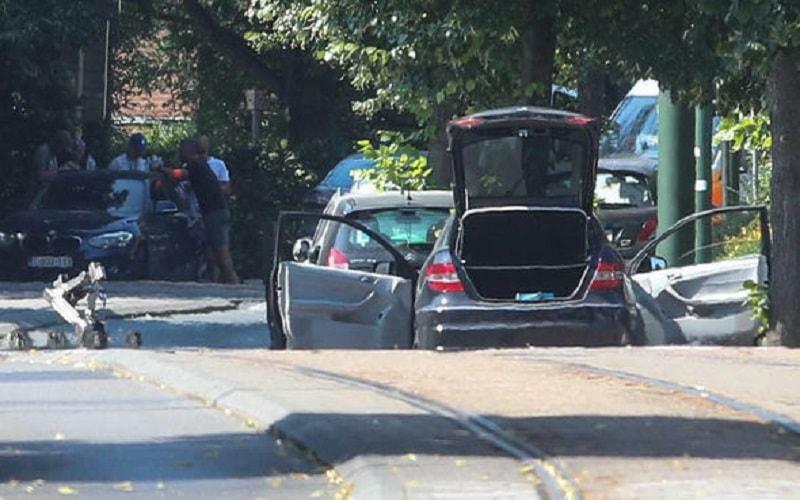 The couple was stopped in Belgium and authorities reported powerful explosives were found in their car. Previously, Mike Pompeo, the United States’ Secretary of State, accused by the Iran Revolutionary Guards Corps of carrying out “assassination operations in the heart of Europe.” The State Department released a graphic showing the Iranian regime’s terror attacks or attempts that were carried out over the past 30 years in Europe. Activists of the National Council of Resistance of Iran are running worldwide campaign and demonstration calling delivering the Iranian diplomat-terrorist to Belgium and shutting down all the Iranian regime’s embassies in Europe as the terrorist and spy centers.